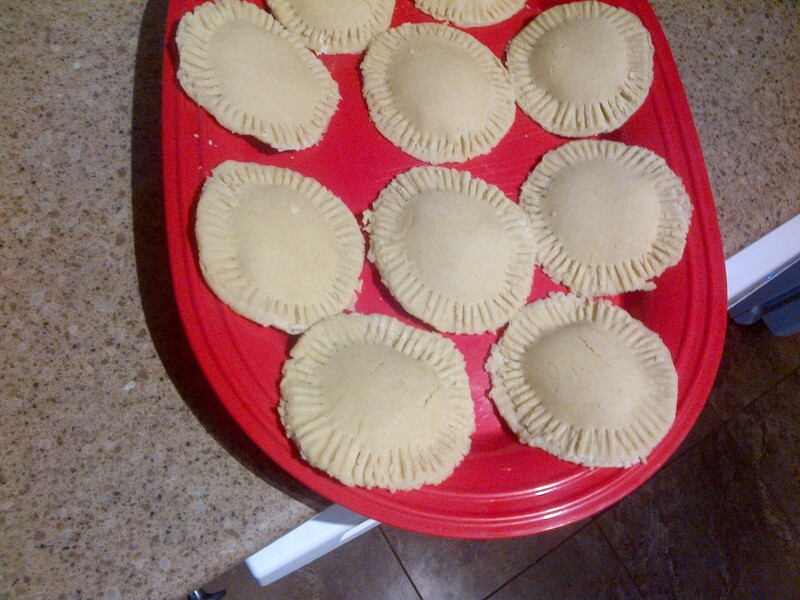 Last night, I made Ravioli. This all started because my friend Tiffany (@EatingNiagara) made ravioli and posted delicious photos of it on Twitter. I’m very impressionable you see, so that made me want some. Tonight I attempted my first ever homemade pasta. Gluten free at that! I used one of my fav gluten free flours, Namaste Perfect Flour. I actually did a google search on “has anyone ever made gluten free ravioli with Namaste” and got a few results! Overall is was good. I’d say a 7/10. I made them too thick, I knew they were thicker and I rolled them out alot but I guess not enough. If they were thinner I’d say 8/10. Not my finest work but there were pretty good. 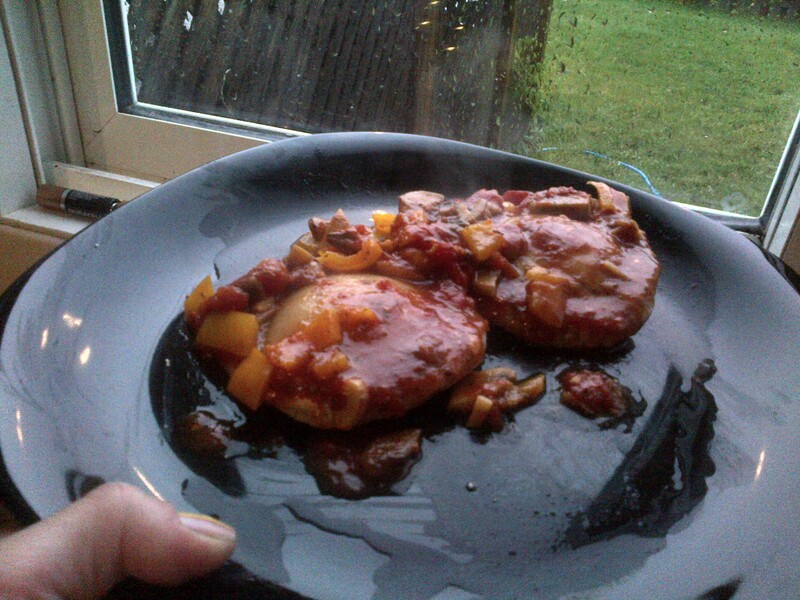 The filling was awesome and I made a homemade pasta sauce for them that rocked and redeemed them. I am not one who enjoys dough making. It took a long time and was tedious. I think I’d rather just buy gluten free ravioli from now on, but it was fun to try! Yup you have read that correctly! Of course vegetables are always gluten free, but I think sometimes those of us who chose a gluten free diet forget about the simplicity and ease of eating plants. This weekend my Husband and I planted our summer garden. It will hopefully be bursting with tomatoes, cucumbers, zucchini, snow peas, garlic and onions in the not too distant future.We are still on the hunt for spaghetti squash plants. If you have some outdoor space or even planter pots you too can have a garden. There is such pleasure in seeing and eating the fruits of your labour. I am always thinking of others so perhaps if you have some extra space you could plant a few rows of vegetables to be shared with neighbours or even your local food bank. Get out there and dig people! I have been craving Cinnabon for about.. oh, i dunno, maybe 7 months now. I have not ran into a gluten free cinnamon bun that even remotely compares. Not even close. And its disappointing. I think anything that is yeast risen, doesnt really make for a good gluten free version. Someone should get on that. My mom picked up this mix in the states. It was cheap too. $2.50. While its no Cinnabon (the quest continues) they were pretty good. For the price, I would get them again. The outside was crispy, inside was kind of elastic-y. Not in a bad way. The texture is hard to explain. The dough came together and rolled easily. They baked up just as they should have. Mine dont look like the ones on the box, but whose ever does, right? I decided to make a cream cheese icing to put on top since I REALLY wanted these to be like Cinnabon lol but… they weren’t. I think I have to stop thinking about them. Or just eat one and suffer the consequences, just to get it out of my system. But then its a slippery slope. I digress. 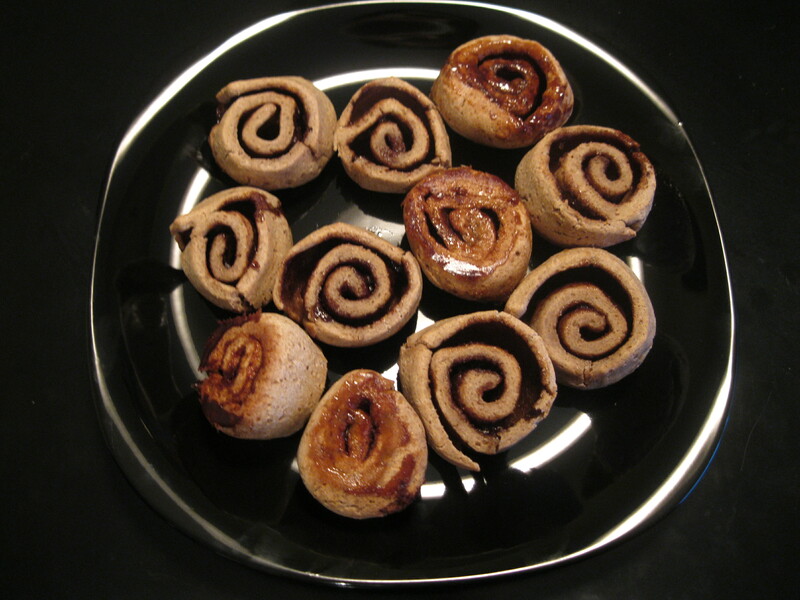 Does anyone have a great cinnamon bun recipe? Cinnamon bread? Loaf? Muffin? Please share! I dont care what form it takes, as long as its amazingly close to Cinnabon. I wish I could just request that they make me a gfree bun lol….Maybe soon. I really enjoy a pretzel. They are crunchy and salty and a great vehicle for dips. I especially like pretzels dipped in chocolate. Salty sweet is my favourite thing ever. I’ve been thinking about making some chocolate dipped pretzels for a while now but haven’t had a pretzel in a long time. I think the Snyders’ win for me. Based on price mostly (since they both tasted the same) My mom got them at Wegmans for 2 for $5! I believe the Glutino ones at the Superstore are around $9 for a bit of a larger bag. So now that I’ve found gluten free pretzels I like, its time to experiment with recipes. Maybe I can grind them up into a pretzel crust! Dip them in chocolate or caramel. Sprinkle them over vanilla ice cream. 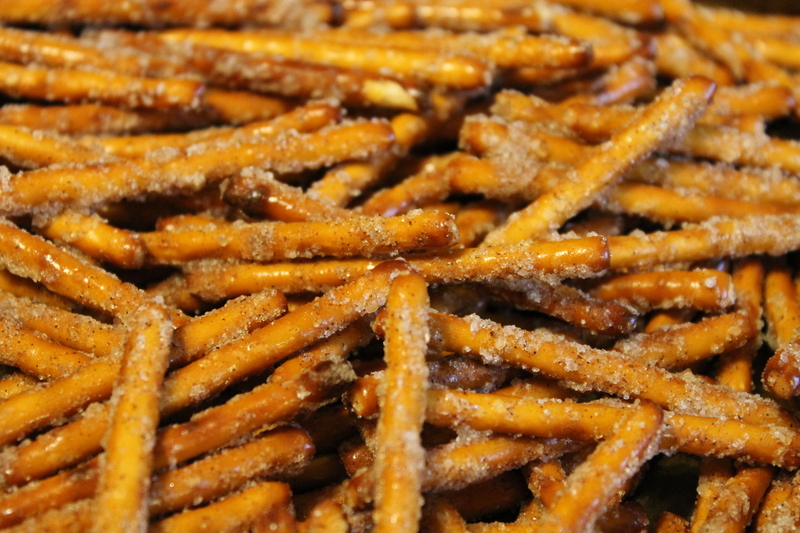 What fun recipes do you have that use pretzels? Share with me! I LOVE sour cream.I will put it on almost anything,dip into it with various dippers ,and eat it by the spoonful. I noticed this in my local grocery store recently and I thought I would give it a try.How could it be different I thought, compared to all the various sour cream varieties out there? I could be dating myself here but this sour cream takes me way back to when I was much younger and when food was food.This sour cream has 3 ingredients only and is gluten free.It is super thick and creamy and has just the right amount of tang.Try Gay Lea Gold this weekend with your Cinco de Mayo celebratory Mexican Fiesta.